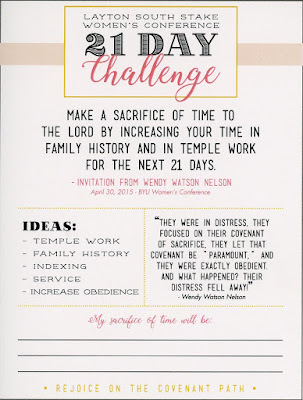 In 2015, Sister Wendy Watson Nelson gave a BYU Women’s Conference address titled “…My Soul Delighteth in the Covenants of the Lord” (2 Nephi 11:5). She shared that she received a cry for help from a friend who did not know what to say to a Relief Society group of sisters she would be speaking to because they were greatly stressed, depressed, overwhelmed, and even some feeling without purpose. God’s love for us is real. He desires us to turn to Him so we may have joy. 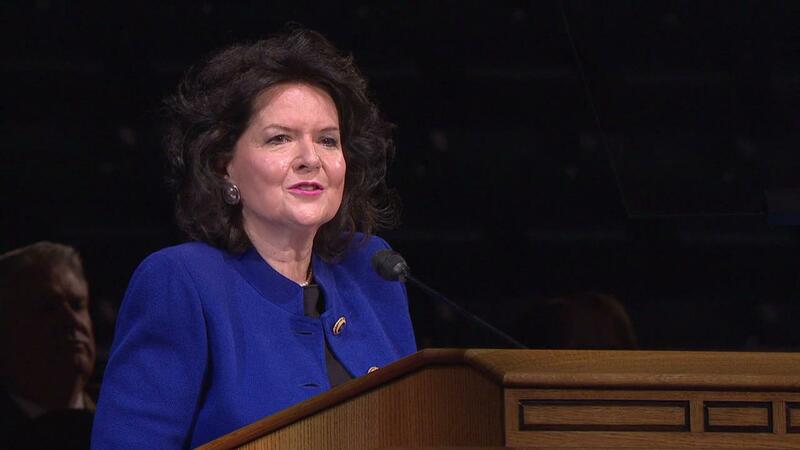 Through her entire BYU Women's Conference address, Sister Nelson bears a strong and insightful testimony of covenants. The privilege, the perspective offered, and the power of these beautiful exchanges of love between God and us are thrilling. 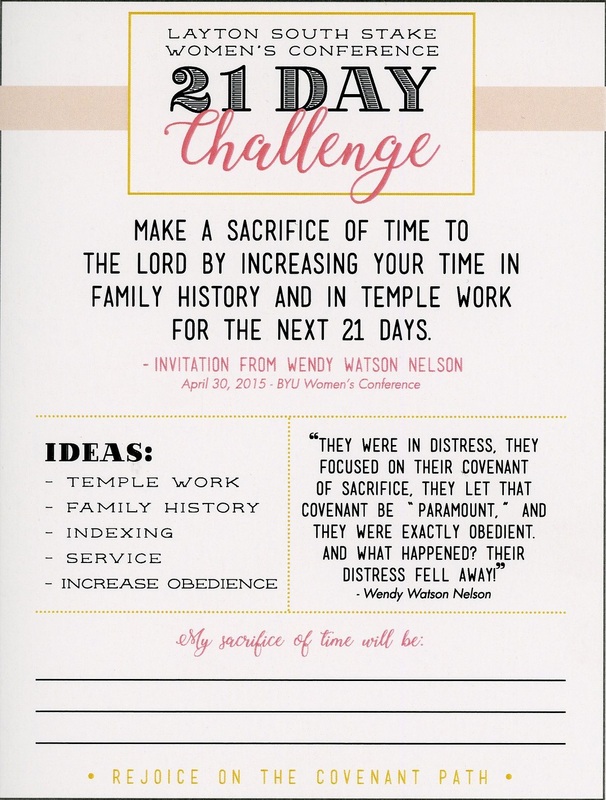 We are extending the same 21-Day Sacrifice Challenge to you, the Relief Society sisters and Laurels of our stake. We desire each of you to continue to be lifted and to feel joy! If you were to start TODAY, your 21 days would be complete on February 16th. Please read or listen to the address by Sister Nelson. She will inspire you. Click here to read the talk transcript. Click here to see a video of the talk. Your distress can and will fall away! Let’s go forward and rejoice on the covenant path. Comments are moderated. We reserve the right to not publish any comments we consider negative or offensive. This website is not officially associated with, sponsored by, or endorsed by The Church of Jesus Christ of Latter-day Saints ("the Mormons"). The views expressed by individuals here are the responsibility of those persons and do not necessarily represent the position of the LDS Church. For official Church websites, please visit www.LDS.org or www.Mormon.org. To those in our stake: Do you have a story about "faith, family, or relief" to share? We welcome it! How have you been blessed by service? How has faith in the Lord helped you find joy through real-life challenges? We would love to include your story. Names can be withheld on request. Website maintained by Jennifer Hughes.